September 18-24 is Child Passenger Safety Week and September 24 is National Seat Check Saturday. According to the National Traffic Safety Administration (NHTSA), every 33 seconds, one child under the age of 13 is involved in a crash. Many times deaths and injuries can be prevented by proper use of car seats, boosters, and seat belts. Taking preventative measures when transporting your kids safely can reduce the risk of serious injury or death in motor vehicle accidents. Using the proper seating and protection according to the child’s age, height, and weight is very important in order to ensure your child’s safety. During Child Passenger Safety Week 2016, the goal is to raise public awareness that children under 4’9 need to be in booster seats. 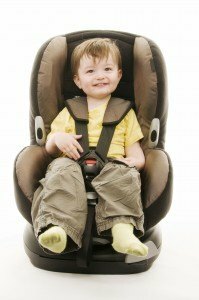 What Child Safety Seat Should You Use? NHTSA has created a website on How to Find the Right Seat. The site provides information on the types of car seats available, the age and size recommendations, where to find the car seats and the car seats ease-of-use ratings. The site also shows you how to install your car seat correctly, how to register your seat for any recall notices, and where to go to see if your car seat already has a recall notification. Parents can visit Safercar.gov to find a child car seat inspection station nearest them. You can search by state or zip code. Certified technicians will inspect your child car seat, in most cases, free of charge – and show you how to correctly install and use it.